Slacking is more fun when done with others. Plus you get the chance to learn faster when tricks and techniques are shared with other Slackers. Social Media is where the latest news of clubs and sessions is being posted. Here are just some of the places in the UK that run regular sessions. 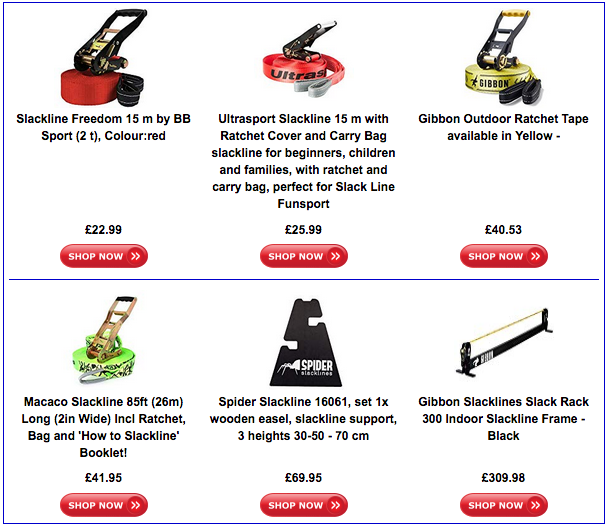 The Uk Slackline Association has a popular Facebook Group that is regularly updated. Well worth joining for all the latest updates in the Slack World. Slacklining London have a Facebook Group where members posts details of impromptu sessions and slackjams. Join the group to see full details. Thursday from 4pm at the West pier. The page looks like it hasn’t been updated in a while though so this might be old information. Poole and Bournemouth Slackline Club run an event with Maverick at the Project Climbing Centre in Poole every Tuesday and Thursday evening from 6pm until 10pm. 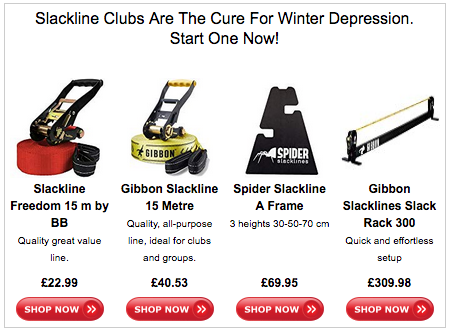 Exeter Slackliners post news about fairly regular updates about Slackline setups and meetings on their Facebook Page. Bristol seems to have a healthy Slackline scene. The Facebook page of Slackliners of Bristol has a few hundred members and regular posts about setups. They are mobile with regards to setup and teach at Schools and Colleges as well as running open sessions in St Andrews park bi-weekly on Sundays. Derby Slackline Club posts information for people in and around, or just visiting Derby. Manchester Slackers posts regular updates about multiple line sessions as well as Highlines and Waterlines. Leeds Slacklining posts regular updates, mainly discussing sessions in Hyde Park. Do you know a club that isn’t mentioned here? Contact Us and we will add details to this page. Also, checkout our events page for details of larger Slack Jams and Festivals.